In our last blog, we discussed a few of the steps that you can take once you have decided that you’d like to start the process of buying a new home. To quickly recap, we’ll just say that our best piece of advice is to write out your own budget to get a better idea of how you’re currently spending your money, because the truth is that it might surprise you. The next step in the process? Working with the Arizona mortgage brokers you trust right here at Scout Mortgage. The first thing we’ll have you do is go through the process of prequalifying for a mortgage loan. What does that mean, you ask? As a matter of fact, that’s the topic of today’s post, so keep reading to learn more! What Do Our New Mortgage Services Look Like? To sum the entire process up in a couple of words, when you choose to partner with us, you get expert guidance, hassle-free approvals, and lighting-fast closings. 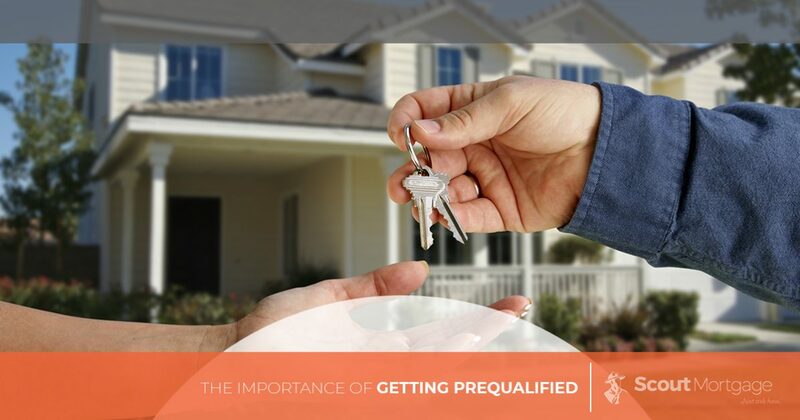 Generally speaking, the first thing you will want to do is reach out to us to prequalify for a home loan. Believe it or not, this is a pretty easy process! To start, we’ll take a look at your financial background, comparing your debt to income ratio and getting a feel for your assets. We’ll also ask how much you will have for a down payment and where this money will come from. For some, it may come in the form of a gift from relatives, whereas others will have been saving for quite some time. It may even come in the form of equity in your current home. This will help us to set an estimated purchase price for your new home. Once you have been preapproved, you can move on to the next step of the process, which for many people is when the real fun begins. We are speaking, of course, about starting the search for your future home. Talking with one of our mortgage brokers as early on in the process as possible is never a bad idea because it can help you to overcome any early roadblocks that might pop up. When you put your trust in the team at Scout Mortgage, we will work with you to help get you into the home of your dreams. Don’t have a realtor at this point? We would be glad to point you in the right direction. Already have a realtor that you’re working with? That works perfectly as well! Are You Ready to Speak With a Mortgage Specialist? No matter where you are in the process, you can count on the expert Arizona mortgage brokers at Scout Mortgage. We pride ourselves on making your experience go as smoothly as possible, so whether you’ve been planning for months or you just had the idea to look for a new home, we would love to help. Contact us today to schedule an appointment and get the process started. We look forward to hearing from you!